Civil Engineering – SubTerra, Inc.
SubTerra, Inc.’s expertise in Geotechnical Engineering includes planning and managing geotechnical data collection for projects where they are the Project Designer, preparing Geotechnical Interpretation and Geotechnical Baseline Reports using the collected data, providing review services to Cities lacking in-house expertise, and supporting legal firms resolving Differing Site Condition claims. Since 2000, SubTerra has provided Geotechnical Engineering and Design Review for retaining structures for Cities that lack that expertise. Typical projects have included soldier pile and tieback, MSE wall, and soil nail wall design reviews; landslide and slope site investigation and slope stablity analyses; and coal mine hazards evaluations. SubTerra was part of a large industry group involved with the development of guidelines for preparing Geotechnical Baseline Reports in the mid 1990’s and specializes in developing and/or reviewing GBRs for subsurface projects. This specialization dovetails with expertise in Risk Management which is typically applied at all phases of underground project development, and for surface projects where significant uncertainty exists with regard to geotechnical conditions and/or constructability. We work closely with geotechnical consultants and geotechnical drilling companies to develop geotechnical data collection requirements based on their project’s overall design requirements bearing in mind the alternative ways in which the project may be constructed. Work scopes for specialized project consultants (e.g., earth geophysics, environmental, etc.) are also developed and refined as the project progresses. SubTerra provides support to Contractors and Owners to resolve construction related issues ranging from differing site conditions to alleged defective specifications and constructability (see list of clients). 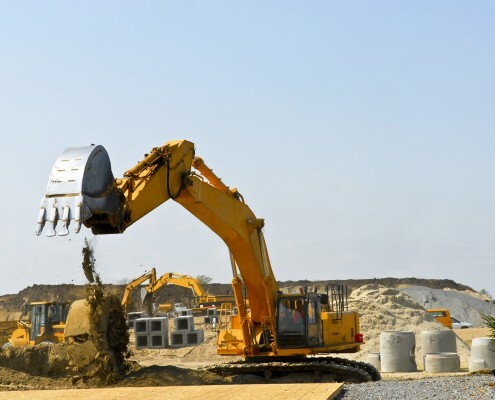 Our personnel also serve as members of Dispute Review Boards requiring expertise in subsurface design, surface and underground construction, geotechnical engineering, and blasting.